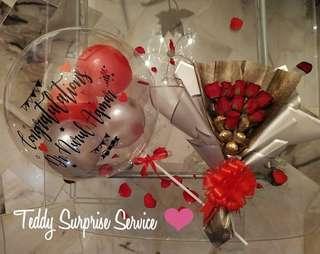 We are providing surprise service on behalf of you for your loved ones. Show your endless efforts to make your loved ones surprised. We offer you multiple packages with affordable price. Old do whatsapp to 016-6003140 for further details.